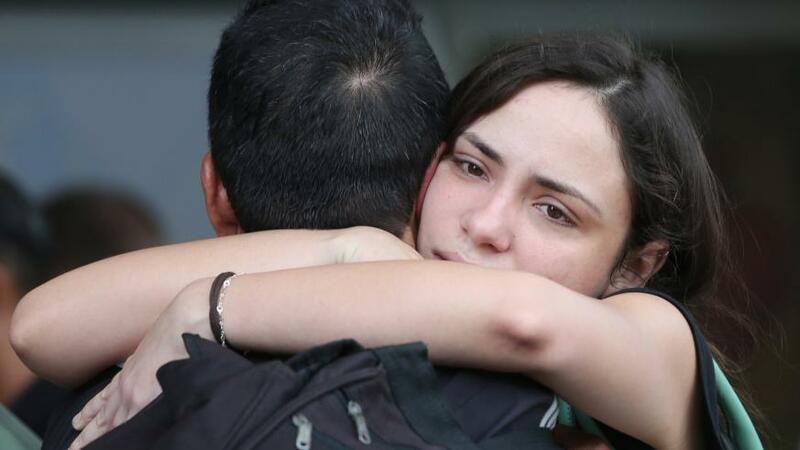 Cuban authorities said the fiery crash of an aging Boeing passenger jet on Friday shortly after takeoff from Havana had killed 110 people, 99 of whom were Cuban, making it the Caribbean island's deadliest air disaster in nearly 30 years. Flags flew at half-mast in Cuba on Saturday marking the start of two days of national mourning while authorities worked to identify the crash victims. Fifteen have been identified so far. Authorities told a news conference on Saturday at Havana airport that three of the passengers killed on the domestic flight to Holguin on Friday were foreign tourists - two Argentines and a Mexican - while another two were Sahrawi residents in Cuba. The six Mexican crew members aboard the nearly 40-year-old Boeing <BA.N> 737, leased by Cuban flagship carrier Cubana from a small Mexican company called Damojh, were also killed. "This is a very unexpected death, she didn't deserve it. My grandmother was a strong person," said Katherine Lucia Martinez, an 18-year-old student, bursting into tears and clinging to her father. President Miguel Diaz-Canel on Saturday visited the morgue, a day after reviewing the site of the crash, the first big test of his presidency after taking the reins from Raul Castro last month. Cuban investigators worked overnight at the site of the crash, an agricultural area some 20 km (12 miles) south of Havana, sifting through the burned wreckage for evidence, officials said. So far they have recovered the cockpit voice recorder in "good condition," the Cuban Transport Minister Adel Yzquierdo said on Saturday. They are still looking for the flight data recorder. "The plane was on fire, it flipped and then nosedived," said Marino Perez Alvaredo, a farmer who works near where the plane crashed. The Mexican transport department said on its website: "During takeoff (the plane) apparently suffered a problem and dove to the ground." Mexico also said it would send a team of investigators from its Directorate General of Civil Aeronautics on Saturday. Most aircraft accidents take months to investigate. "For the love of god, I never thought I would see this," said Caridad Miranda, 45, whose sister and niece died in the crash. "They should have checked that plane well."